International shipping available by request, just leave a comment including your City & Country for a PayPal invoice to be sent including shipping. A purchase of 3 rolls or more in the US will be shipped in a flat rate USPS box including tracking. Just ordered your fantastic tape deal. Thanks. I have you down for two 1/4 rolls. Please put me down for 2 of the 1/4" redline for the next go round, email at twoheartspath@comcast.net. I have you down for two rolls of 1/4 inch tape. AWESOME!! I went ahead and paid for the 1/4 inch tape too and you can actually just wait and ship my order ALTOGETHER once the 1/4 inch tape get in!! I actually have planty to get me by until you get it!! THANKS SO MUCH for sharing and have a FABULOUS WEEKEND!! I will ship your entire order together, fingers crossed my wholesale order arrives in a few days. Hello Natasha, I'm from Quebec and just placed an order for some tape, you can invoice me for the shipping at the following email carolest_aubin@yahoo.ca. Merci! Shipping to Toronto will be approximately $5 US dollars. Please let me know if you are still interested. I am sold out at the moment but another order is coming in a few days. Yes, I am still interested. Thank you! Hi again, just saw your vid on the A2 sized bags, could you add 1 order along with the red line tape (one 1/8 and one 1/4 ) once it's back on stock? Let me know...thanks! Hello Natasha! Thanks so much! 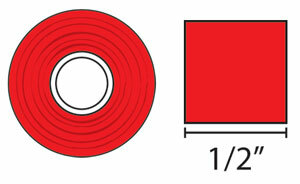 I place an order for the 1/4" and 1/8" tapes. Please ship when it's all available! Thanks .. Thank you for your order, I sold our so quickly but I also placed a re-order and am expecting the shipment in a few days. Thank you for your order Becky. 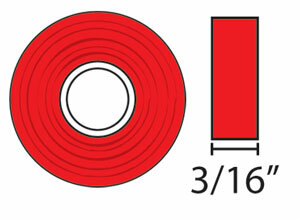 All the orders went out today including the red line tape that was on back order. Natasha, I haven't heard from you on if you received my order or not or if it is waiting on something. I am in AL if you need that info. Angel, the tape is in the post on its way yo you. 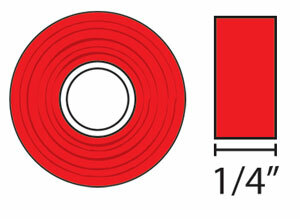 I just ordered some of your red line tape and when you get more of the 1/4 inch in would like two of those as well. Hope you are digging out of the disaster wall fall. Boy can I ever relate. Hugs my funny girl and keep that wonderful dry humor. I just received your order, would you like me to hold on to it till the 1/4 inch arrives or send the 1/2 & 1/8 now? I just put in an order with you! Yay! You can hold off sending it until the 1/4 inch arrives. I hope that's ok. Just feel it's easier that way. Thanks a bunch! Hope you,Paul & the kiddos(pets), have a great weekend! I am hoping the 1/4 inch tape arrives on Monday. You will also be getting a credit on shipping because all the items will fit in a padded flat rate envelope which is just $5.15. I do not charge handling, just actual and most economical shipping. Awww thanks Natasha!!! You're such an awesome & helpful person!!! I'm lucky to have found you! HEEHEE! Just placed my order for the redtape. Thank you very much Natasha. I really enjoy watching your videos. Thank you for sharing. Thank you for your order, it will be sent out tomorrow (3/15). I will check with the post office on the actual shipping and get back to you. Could I please order one roll of the !/4" and one roll of the 1/2" ? I live in Victoria, BC Canada. Thanks for all the videos you do, I love them! Shipping to the UK for 2 rolls will be $4. I'd love two rolls of the 1/4" one piece of the male bling and the fanciful album please :) You can invoice me at carolest_aubin@yahoo.ca and I'm in Quebec. Thanks Natasha! Natasha, or others, where can I find out the uses of this particular tape? (as opposed to other adhesive). Is this especially good for certain items, i.e. ribbon/trim? thanks for informing me....I'll probably need to order some of this as well, once I know what it is great for! This type of tape is great for making glitter strips on paper or wood(like clothes pins). You can use it under ribbon, adhering paper to chipboard, anywhere you'd want a little extra grip. Do you have 1/4 inch tape in stock? I am sorry, the 1/4 inch tape is sold out at this time. I am interested in 2 rolls of 1/8" and 2 rolls of 1/2" (if they are still available) depending on the shipping costs to Canada. I am in Manitoba, Canada. My postal code is R2E 0H5. Hi there, I would like to make a bulk order of the 1/4" 20 yard rolls. I live in Australia. Could you please contact me via email to let me know the best number to purchase shipping wise and the cost of postage. I am looking at purchasing 15-30 rolls. Is it cheaper to buy more rolls? I am sorry - 1/4 inch size is out of stock at this time. Hi Natasha thanks for the reply. Do you know when it will be back in stock? Unfortunately, I do not know when they will be back in stock. I checked with my wholesaler but they are still waiting on their delivery from abroad too. What do you have in stock at this time? 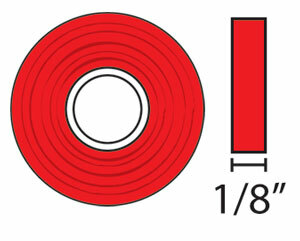 I am in need of some red line tape and prefer to order from you......such a good deal!